Sign up here to be a member of Bull Nation! Members can enter any of our online contests, share feedback on your favorite new tunes, and even play games… and it’s FREE! Take a few minutes, check it out, and sign up. Welcome to Bull Nation… Horns Up! 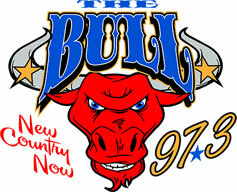 Thanks for listening to The Bull 97.3.